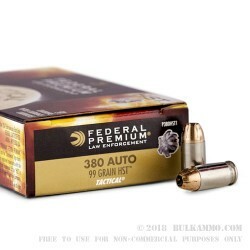 Federal Tactical's 99 grain 380 HST hollow point travels at 1,030 feet per second and produces 233 foot pounds of muzzle energy. 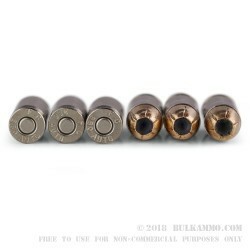 It's nickel plated boxer primed brass is ideal for reuse or reloading so feel free to pick up your brass! 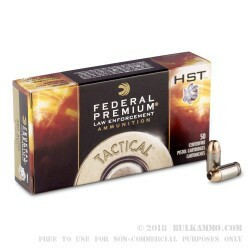 The cartridges come packaged in plastic trays of 50, boxed with Federal Tactical branded card-stock. 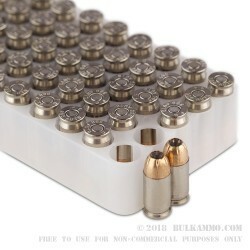 This case contains 20 boxes.